The National Highway Traffic Safety Administration (NHTSA) refers to drunk driving crashes as "alcohol-impaired-driving" accidents. The NHTSA's figures often change as more data becomes available. The following statistics are estimates and subject to fluctuation. But even if the numbers change with time, the lesson remains the same – drunk driving claims lives. In 2011, Pennsylvania experienced a decrease in drunk driving accidents. Alcohol-related crashes fell from 12,426 to 11,805. There were 428 drunk driving deaths in Pennsylvania in 2011. 26 percent of drunk driving deaths in 2011 were in the 16-20 age group. In 2011, alcohol-related deaths were 33% of the total traffic deaths, nearly the same as in 2007, 2008 and 2009. On average each day, 32 crashes alcohol-related crashes occurred in 2011. Additionally, 1.2 persons were killed and 23 persons were injured on average each day in Pennsylvania in 2011 because of an alcohol-related accident. Nationally, alcohol-related deaths declined in 2010 by 4.9%. However, they still made up 31% of the overall traffic fatalities in 2010. In 2010, there were 12,426 alcohol-related vehicle accidents in Pennsylvania, which was a decrease from 2009 (12,712). In 2010, there were 459 fatalities that involved alcohol in Pennsylvania -- an increase from 449 in 2009. They accounted for 35% of all traffic collision deaths. Nearly one-third (31%) of driver deaths ages 16-20 were drinking drivers, which is an increase from 2009. One-half (50%) of deaths ages 21 to 25 were drinking drivers, up from 44% in 2009. The 26-30 age range improved to 45%, down from 51% in 2009. In 2010, 459 people died in alcohol-related crashes. Nearly three-fourths (72%) of drinking drivers in crashes were male. The majority of alcohol-related crashes occurred when it was dark, usually on the weekends. In 2010, 34 alcohol-related crashes occurred in Pennsylvania every day (on average). In 2010, 26 people were injured in alcohol-related crashes in Pennsylvania every day (on average). On average, one person died every 48 minutes in 2009 due to an alcohol-impaired driver. For fatal crashes occurring from midnight to 3 a.m., 66 percent involved alcohol-impaired driving. On New Year's Day, 468 people were killed in car accidents. Alcohol-impaired driving contributed to 40 percent of them. Fatal crashes involving alcohol-impaired drivers occurred four times more at night than during the day (37 percent versus 9 percent). Of the drivers involved in fatal crashes, 30 percent of males had a BAC of .01+ and 25 percent had a BAC of .08+; 16 percent of women had a BAC of .01+ and 14 percent had a BAC of .08+. Of people ages 21 to 24 involved in fatal crashes, 35 percent had a BAC above the legal limit. In 2009, 14 percent of children ages 14 and younger killed in crashes died because of alcohol. More than 181 children were killed due to drivers who were drunk. Drivers with a BAC level of .08 or higher in fatal crashes were eight times more likely to have a prior conviction for driving while under the influence. The most frequently recorded BAC level among drinking drivers in fatal crashes was .17, which is more than twice the legal limit. There were 449 alcohol-related auto accident deaths in Pennsylvania in 2009. More than 10,800 crashes in PA involved drinking drivers; 215 of them were fatal. Nearly 450 people died in 2009 because of an alcohol-related accident in Pennsylvania. For drivers ages 16 to 20 involved in fatal crashes, 27 percent of them involved alcohol. For drivers ages 21 to 25, 44 percent of drivers killed had been drinking. In 2009, 36 percent of the total traffic deaths were alcohol-related. Nearly three-quarters of drinking drivers in PA were male. Most alcohol-related crashes happened at night, usually during the weekends (72 percent). On average, 26 people were injured in alcohol-related crashes every day in PA. There were 1,294 underage drinking drivers involved in crashes in PA in 2009. The following table of stats shows the total state-by-state auto accident fatalities in 2008 and the percentage of car crash deaths that involved a driver who had .08% blood-alcohol content or higher. There were 11,773 drunk driving deaths in 2008. 2008 showed a 9.7% decrease from 2007 in alcohol-impaired driving deaths. Drunk driving deaths (11,773) accounted for 32% of the total amount of United States car accident deaths (37,261) in 2008. 1,347 children ages 14 and younger died as occupants in car accidents in 2008. Of those deaths, 216 (approx 16%) were the direct result of drunk drivers. Along with the 1,347 child occupant fatalities, another 34 children died as pedestrians or bikers who were hit by drunk drivers. Nighttime drivers were four times more likely to die in drunk driving crashes in 2008 than those driving during the daytime. In 2008, weekend drivers were twice as likely to be involved in drinking and driving car crashes than weekday drivers. The 21-24 age group accounted for 34% of all alcohol-impaired-drivers who died in accidents in 2008. The 25-34 demographic accounted for 31%, while those from 35-44 years of age accounted for 25%. Despite being under the legal drinking age, American teens from the ages of 16-20 were more likely to be killed while driving under the influence than adults ages 55-64. Teens accounted for 17% of all drivers who were involved in drunk driving crashes, while those from 55-64 accounted for 12%. Of the drunk driving crashes where seat belt use was known, nearly 75% of all drunk drivers killed in accidents in 2008 weren't wearing seat belts. In the United States, a Blood Alcohol Concentration (BAC) level of .08 or higher is considered above the legal limit in nearly every state. The most frequently recorded BAC level among drivers who were killed in alcohol-impaired-driving accidents in 2008 was .16, or twice the legal limit. Drunk drivers who were over the legal limit when they died in 2008 were eight times more likely to have been previously convicted for drunk driving. In 2008, 6,316 passenger vehicle drivers were over the legal limit when car crashes claimed their lives. In 2008, it was more dangerous to drive drunk on a motorcycle than in any other vehicle. The percentage of bikers with a BAC level of .08 or greater when they died in a crash was higher than the amount of drunk drivers who died while operating other vehicle types. The following stats represent total state-by-state auto accident fatalities in 2007 and the percentage of car crash deaths that involved a driver who had .08% blood-alcohol content or higher. In 2007, approximately 13,041 people were killed in alcohol-impaired driving accidents. Thirty-two states had decreases in drunk driving fatalities compared to 2006, and 18 states, the District of Columbia, and Puerto Rico had increases. California has the largest decrease in fatalities among the states – there were 117 fewer drunk driving deaths in 2007 than there were in 2006. North Carolina had the largest increase in drunk driving deaths – 66 more in 2007 than in 2006. South Carolina was second with a 44-fatalitiy increase. Alcohol-related driving fatalities accounted for 31.7% of total traffic deaths. The age groups that accounted for the largest percent of alcohol-related traffic deaths were ages 25-34 and 45-64. Each made up 23% of the deaths in 2007. Underage drinkers accounted for 14% of drunk driving deaths. In 2007, about 67% of alcohol-related driving fatalities were drivers with BACs of .08 or more. Approximately 17% were passengers riding with the drunk drivers. The age group with the highest percentage of drunk drivers involved in fatal car crashes was 25-34. This age group accounted for 26% of the fatal accidents. 83% of the drivers involved in fatal crashes who had BACs of .08 or higher were male. In 2007, 57% of the fatal alcohol-related car crashes occurred on the weekends. The times of day with the highest number of drunk driving fatalities were midnight to 3 a.m. (28%), 9 p.m. to midnight (21%), and then 6 p.m. to 9 p.m. (16%). In 2007, drivers between the ages of 16-20 were involved in 1,719 drunk driving accidents. 68% of the drunk driving fatalities in 2007 involved single-vehicle crashes; 32% involved multi-vehicle crashes. There were 535 alcohol-related deaths in 2007. 91% of those killed in alcohol-related crashes were in the same vehicle as the drunk driver. 72% of those killed were the drunk driver themselves. 77% of drunk drivers involved in crashes were male. On an average day in 2007, there were 35 alcohol-related crashes with 1.5 fatalities and 27 injured people. Alcohol-related crash fatalities were highest between the hours of midnight and 4 am. Alcohol-related crash fatalities were highest on Saturday. 49% of car accident deaths that occured during the holiday weekends were related to alcohol use. The following stats represent total state-by-state auto accident fatalities in 2006 and the percentage of deaths in car crashes that involved a driver who had .08% blood-alcohol content or higher. State Deaths Pct. State Deaths Pct. State Deaths Pct. In 2006, there were 13,491 alcohol-impaired-driving crashes. There were 545 alcohol-related deaths in 2006. 24% of the driver deaths in the 16-20 age group were drinking drivers. 49% of the driver deaths in the 21-25 age group were drinking drivers. Alcohol-related deaths were 36% of the total traffic deaths. 78% of the drinking drivers involved in accidents were male. 79% of the alcohol-related crashes happened during hours of darkness, usually on weekends. On an average day, 37 alcohol-related crashes occurred. On an average day, 29 people were injured in alcohol-related crashes. On an average day, 1.5 people were killed in alcohol-related crashes. 15% of all holiday crashes involved alcohol use. In 2005, 16,885 people in the U.S. died in alcohol-related motor vehicle accidents, representing 39% of all traffic-related deaths. Of the 16,885 people who died in alcohol-related crashes in 2005, 14,539 or 86% were killed in crashes where at least one driver or nonoccupant had a BAC of .08 or higher. An estimated 254,000 people were injured in crashes where police reported alcohol was present. Alcohol was present in 24% of drivers involved in fatal crashes. Over half of the 414 child passengers ages 14 and younger that died in an alcohol-related crash were riding with a drunk driver. Of the 1,946 traffic fatalities among children ages 0 to 14 years old, 21% involved alcohol. 48 children ages 14 and under were killed as pedestrians or pedacyclists by an impaired driver. Male drivers are almost twice as likely as female drivers to be involved in a fatal car crash with a BAC of .08 or higher. In 2005, 16% of drivers aged 16 to 20 who were killed in an accident had been drinking alcohol. The highest percentage of drivers in fatal crashes who had BAC levels of .08 or higher was for drivers ages 21 to 24 followed by the 25 to 34 age group. Alcohol involvement in fatal crashes was 3 times higher at night as during the day. For all crashes, the alcohol involvement rate is 5 times higher at night. In 2005, there were 580 fatalities from alcohol-related crashes. 89% of those killed in alcohol-related crashes were in the same vehicle as the drunk driver. 72% of those killed were the drunk drivers themselves. 79% of drunk drivers involved in crashes are male. On an average day in 2005, there were 36 alcohol-related crashes with1.6 fatalities and 29 injuredpeople. The majority of drunk driving crashes occur at night - 77%. Alcohol-related car crash deaths were highest between the hours of midnightand 4am. Alcohol-related car crashes kill someone every 45 minutes and injure someone every two minutes. In the United States, drunk driving is the leading criminal cause of death. More than 17,000 people are the victims of drunk driving accidents every year. Approximately 40% of all motor-vehicle fatalities are alcohol-related. 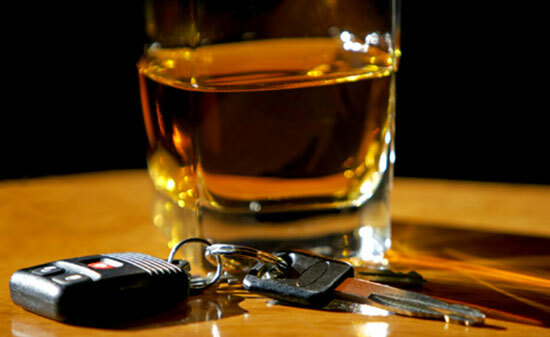 Frequent drunk drivers are responsible for almost 60% of alcohol-related fatalities. 38% of all Christmas-time car accident deaths and 54 % of all New Year's car accident deaths are alcohol-related. Approximately 17% of drunk drivers injured in car accidents are charged and convicted, 11% are charged and not convicted, and 72% are never charged. Drunk driving accidents cost the public around $114.3 billion a year. About one-third of people arrested for drunk driving are repeat offenders. Drivers with a BAC of .08 or higher who are involved in fatal crashes are eight times more likely to have a prior DUI conviction than drivers who consumed no alcohol. "Impaired Driving." The Centers for Disease Control and Prevention. 2006. "2006 Pennsylvania Crash Facts & Statistics." PENNDOT. 2008. "2007 Traffic Safety Annual Assessment - Alcohol-Impaired Driving Fatalities." August 2008. National Highway Traffic Safety Administration. National Highway Traffic Safety Administration, 2009. Madd.org. National Highway Traffic Safety Administration, 2010.